This phrase–“thinking beyond academia”–was written by a friend and colleague of mine in the context of working on a joint (forthcoming) project of ours, and specifically in reference to what I am attempting to do professionally. 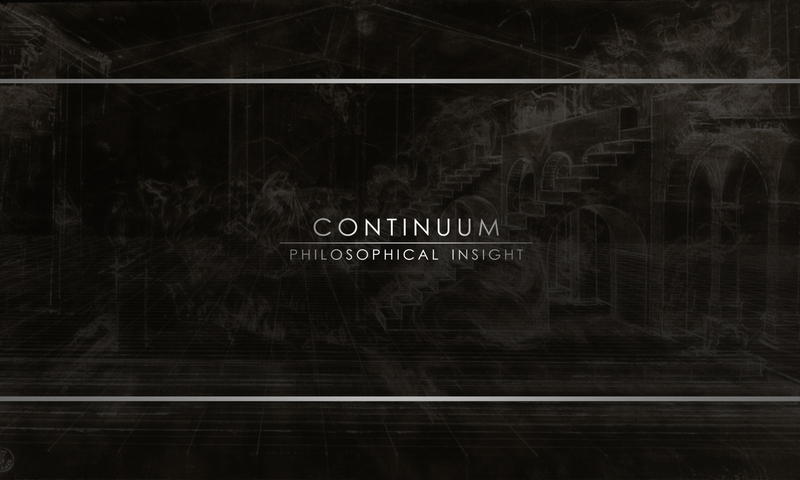 I have since taken it up as a kind of tagline: Continuum Philosophical Insight is thinking beyond academia. With rare exception, philosophy–which ought to be the science by which all thinking is resolved into a coherent whole–has confined itself to the narrow circular halls of the ivory tower. Philosophers write to and for and about other philosophers; they become library dwelling thinkers of niche significance. The attempted disseminations of so-called public philosophy usually amount to no more than popularity-seeking pieces of deliberately controversial sophistry published in newspapers or magazines, lectures given by “prestigious” institutions, and other often self-aggrandizing measures taken by the “public philosopher”. But these measures, even when pursued in good faith, constitute no real emergence of the philosophical from the ivory tower: at best, they constitute snapshot reports on what happens within its walls, and at worst, infect the public with the noxious notion that a secret knowledge lives in the minds of its residents. Philosophy cannot be learned or gained or of great benefit to the public in short articles, nor even in long ones, nor in books, nor in any product that one might deliver. Rather, philosophy is a habit, and like most habits, must be lived; that is, reinforced continually, dynamically, and interactively. Someone does not develop the habit of philosophy by listening to philosophers or reading their works but by asking questions and being asked questions. One is always active in the development of philosophical habit; active, perhaps, while silently listening or reading but always questioning what is heard or read. The habits and methods of this continual questioning are not easily learned on one’s own. For my own part, while I had an explicit interest in philosophy from no later than the age of 15, I did not begin to form the philosophical habit until my undergraduate experience, where I had not only great courses in philosophy, but a professor who happily spent time with students outside the class, which encouraged myself and others–even when discussing banal and stupid matters–to always think philosophically. I was extremely fortunate to have such an experience. Most people do not and will not. Yet the need for philosophical habit, in a world permeated by unseen influences and pernicious ideological blinders, is sorely needed, not only for individuals who either never went to college or received only vocational training if they did, but for the organizations in which those individuals work. Without philosophy, it is difficult to know truly what things are; we might know how to use them, what they can do, or how much money we can make off of them–be they technologies or services, ideas or products–but without a knowledge of what they are in themselves and what they are in their relational contexts, we will not know what they do to us. For instance, what is Twitter? What kind of thing is it? Is it the same as other forms of social media? Does Twitter affect us differently than, say, Facebook or Instagram? Are all forms of social media radically different from email? Or, what is an economic theory, say, capitalism? Is there one “thing” which is capitalism? Does capitalism have a “value” independent of its relation to the politics of a time, or a culture? Or for that matter–what is “value”? Is it the same as “worth”? One question leads naturally into another, and without a philosophical habit to process the questions, invariably a mind will attach itself to some unquestioned basis: something familiar, comfortable, and presumed good. Yet we are very often very badly mistaken about whether something is good, or in what way it is or can be good. In times and relatively-homogeneous cultures where education is difficult to obtain and the familiar and the comfortable is, in fact, something good, the philosophical need might be less urgent. But today, with such a radical diversity of cultural experience, thought, opinion, and ideas, familiar and comfortable grounds for living are illusions only. We need all men and women of every age and call of life to develop the ability to question through what is said. We need thinking beyond academia.